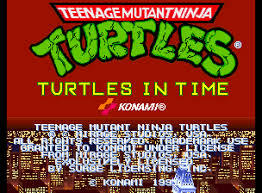 We’re proud to bring you episode 2 of Comics to Console Crusade, and after a 2 year hiatus the team of Pat, Jarrod, and Joe November couldn’t pic a more apt choice: TMNT: Turtles in Time! Get those quarters ready! Let us know what you think of this pilot episode in the comments below. Should we make more? All songs, sound clips, and characters discussed are copyright of their respective copyright holders, and no infringement is intended, it is for entertainment purpose only.